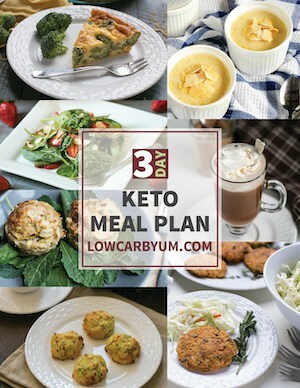 Eggs are a staple in the keto diet. 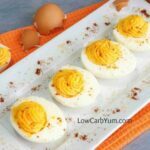 Low carb deviled eggs without vinegar are a favorite appetizer among those avoiding unnecessary carbs. Since eggs are a staple in the low carb diet, I usually make hard-boiled eggs each week for a quick snack to eat at work. They are very filling and keep me from overeating during the day. 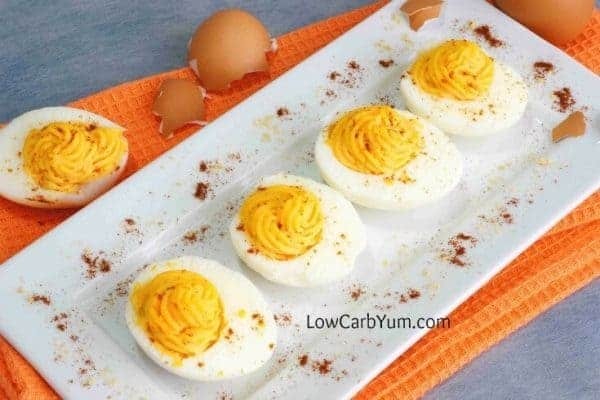 Low carb deviled eggs without vinegar are a nice change from the standard plain egg. 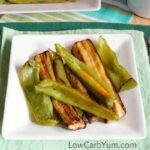 And, they are a great low carb appetizer for parties. My husband also loves them. Having them handy in the fridge keeps us both from eating sweet snacks. This is a basic recipe for deviled eggs. 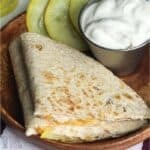 To customize them, you can add things like bacon, cheese, olives, or pickles. I often just make them plain. But, when I’m taking them to a party, I like to add bacon and cheese. 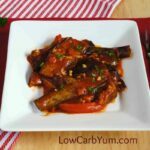 You can enjoy basic low carb eggs while doing an egg fast. There’s so many different ways to cook up eggs while on an egg diet. 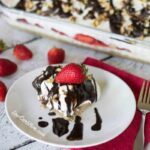 Just take a look at this recipe collection. 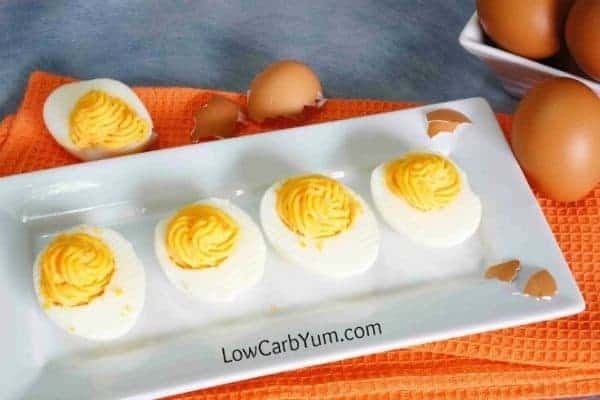 If your just getting started on a low carb diet, these low carb deviled eggs are one of the best induction foods you can eat. 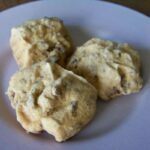 They help you get into ketosis fast and are full of nutrition. And, don’t worry about the cholesterol. It’s been proven that that’s not an issue. Whole eggs are much better for you than the whites! When making these basic deviled eggs, I like to dress them up by piping the yolk filling into the whites. It just makes them look so much prettier. Sprinkling paprika on top of the deviled eggs gives that extra contrast of color. But, my husband is not a fan of the spice. So, I leave it off on half of them. 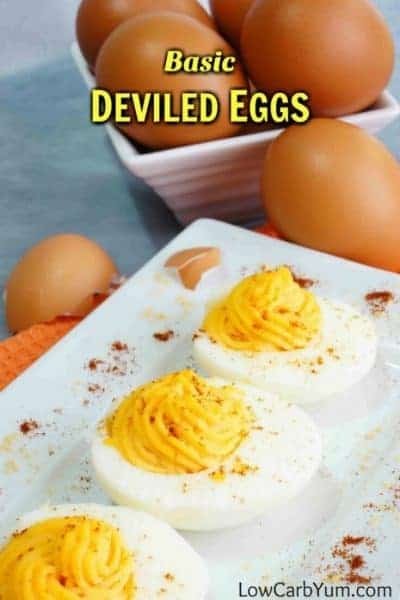 You really can’t go wrong serving up these easy low carb deviled eggs. 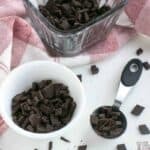 It’s simple to change up the flavor with whatever you have on hand as well.
. I just add a few squirts of it to the basic recipe. No matter what stage of low carb you are in, eggs fit perfectly into this way of eating. The only reason I see not to eat eggs is if you have an allergy to them or just can’t stomach them. I don’t think I’ll ever get tired of eggs. I could easily eat several dozen a week. And when I’m egg fasting, I go through at least a half dozen every day just for myself. So, be sure to keep a good stock of fresh eggs in your refrigerator. I rarely let myself get down to less than a dozen at a time. I’ve often thought of getting my own hens so I’d never run out. But, taking care of a chicken coup may be a lot more work than I’m ready for. Thank goodness eggs have remained relatively cheap to buy. Eggs are a staple in most low carb diets. Deviled eggs are a favorite appetizer among those avoiding unnecessary carbs. This is a recipe for basic deviled eggs. 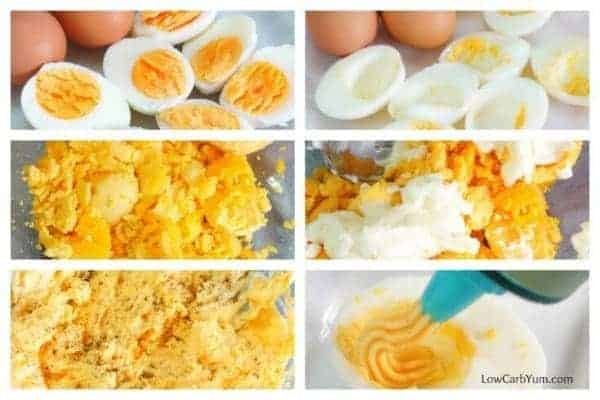 Remove yolks into a bowl and mash with fork. Mix in mustard, salt, pepper and mayonnaise. Fill whites with egg yolk mixture. Sprinkle tops with paprika, if desired. 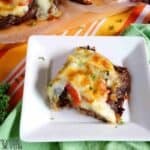 Add in optional pickles, cheese, bacon, olives, or other desired flavors. I love deviled eggs however I’m concerned about exccesive calories …can tell me what’s a good number when it comes to calores .? Usually 200-300 for a snack or appetizer. 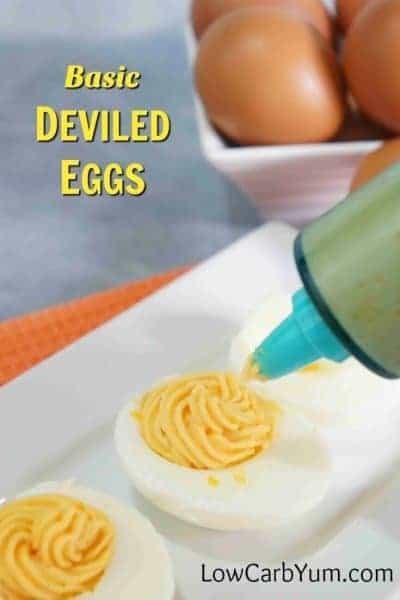 Love these deviled eggs. They get me through Easter as a peep and cadbury egg alternative. Why do you exclude the vinegar?? I dont think it contributes carbs. 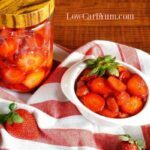 You can certainly add in vinegar if desired. 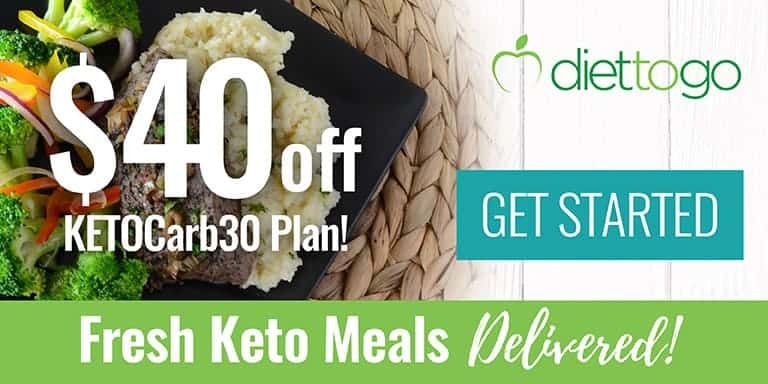 It’s zero carbs. Some people just like the eggs without vinegar. 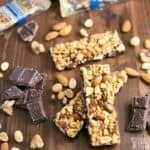 How did you come up with carb count on these? 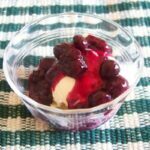 It was hand calculated based on ingredients used when the recipe was originally posted. All of the newer recipes are auto calculated by a software program.